When Online Labels partnered with me to sponsor this post, they asked me to come up with a fall-related creative idea, the first thing that popped to mind was pumpkin spice lattes. That’s how this indulgent skin-softening Pumpkin Spice Latte Sugar Scrub was born! First sign of Fall – Pumpkin Spice Lattes start popping up in coffee shops everywhere! Am I right? Confession time: I’ve never actually tasted a pumpkin spice latte but I do so love the scent of it. It makes me think of cozy sweaters, falling leaves, a fire crackling in the fireplace, and feeling that crisp autumn air on my face. I like to make sugar scrubs to give as gifts to my family and friends. 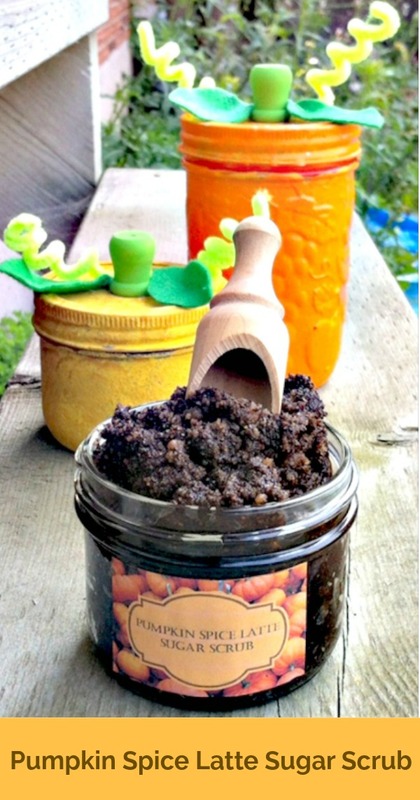 Recently, I’ve seen a lot of talk about coffee scrubs so it seemed only natural to bring that all together in this positively delicious smelling Pumpkin Spice Latte Sugar Scrub. Check out the video below to learn how to make it. I even show you a fun way of making plain mason jars into fun pumpkins and give you a free template for printing my sugar scrub labels for yourself. Optional: break open a couple of capsules of vitamin E oil to add to this for extra nourishment for your skin. You can also add some fractionated coconut oil to this if you’d like. It’s great for your skin! This is so easy! Simply mix together the dry ingredients. Add in the vanilla. Then, when you’re ready to stir in the oil start with about half. Use more a little bit at a time until it reaches the perfect consistency. You want it to be thoroughly moistened but not floating in oil. It should be wet but still pasty so that it will stick to your skin as you rub it on. These make great gifts – really quick and easy to make even in large batches. You can find the labels I created for the Pumpkin Spice Latte Sugar Scrub over on the Online Labels website. Thanks so much to Online Labels for once again sponsoring this Crafty Hangout! Hello, could you put the recipe down here in words, I have a small hearing condition. Thanks so much. and thanks for sharing. Here you go! I’ve added in the recipe. Thanks for reading my blog! Thank you so much, I got your email. much appreciated! I hope you don’t mind i’ll probably share it on my facebook and a few other places,, When I do share I will share your page where I got it from,, I just have to say , I am so looking forward to making some not only for me but gifting , again thank you.. 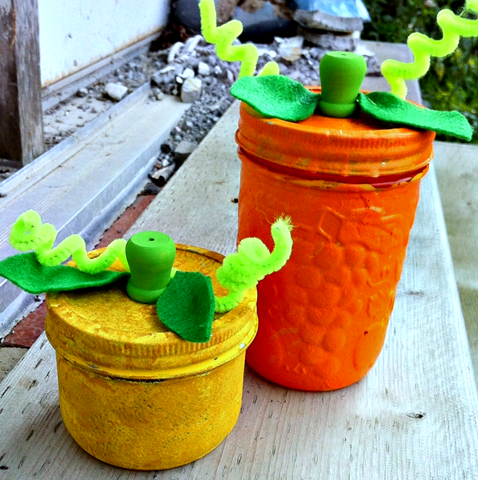 This is a great DIY for gifts. Especially with Christmas coming.